In the year 1992, Dr. C.P. Sreekumar MS (Gen).,MSc (Ortho) having returned from England after training in Orthopaedic Surgery, established the department. In the initial years, the pattern of work was General Orthopaedics with predominant emphasis on Trauma. As the department grew in workload, so also its strength, Dr. Venkatramanan joined this department in May 1999. Over the last few years in keeping with the advances in the field of Orthopedics, the latest Surgical Treatment of trauma and orthopaedic diseases is used here. 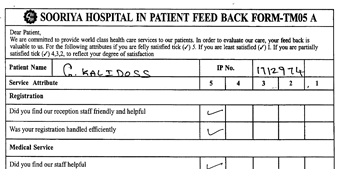 Dr. Venkatramanan underwent advanced training in Joint Replacement in Germany and in Arthoscopy in Australia. Besides performing total joint replacement of hip and knee he is skilled in performing advanced Arthoscopic knee surgery such as Anterior Cruciate ligament reconstruction, Arthoscopic shoulder surgery such as Bankart repair for recurrent shoulder dislocation, subacromial decompression and mini-open rotator cuff repair. In the field of Trauma, the application of newer principles of fracture fixation through m inimally invasive techniques which yield early functional recovery of the patient are performed. Equipment cardinal to assist in this type of surgery has been acquired by the hospital. Complex fractures sometimes need complex solutions and this is elegantly done by the Illizaror technique of Ring fixation. 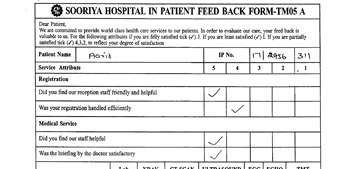 The favorable results enjoyed by the patients adds to the features in the cap of the hospital. In the field of Reconstructive Surgery for Cerebral Palsy, pioneering work is being done here since year 2000. Various modification of treatment both Physiotherapy, BOTOX injection and complex Single Event Multilevel surgeries are used to rehabilitate the differently abled children / adults with the high success rate. Spinal Surgery of decompression of the neural canal and stabilization of all segments of the spine is done, teaming with the Neurosurgical department Dr.K. Subramanian Special note is the procedure of “Microdiscectomy” with the help of an advanced “Zeiss” operating microscope gets such patients back on their feet in the quickest possible time. In South India, the very first Vertebroplasty was performed here by Dr. Roy Santhosam (Radiologist) and Dr. S. Venkatramanan in the year 2001. Since then innumerable such procedures have been done with a zero complication rate. In collaboration with Dr. P.C. 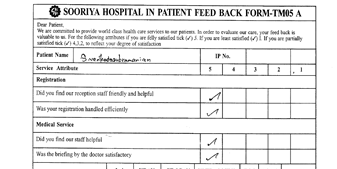 Vijayakumar (Anaesthesiologist) patients with intractable back and neck pain or who are not candidates for surgery, are given the benefit of various nerve root & facet joint blocks. Caudal epidural steroids and stellate ganglion blocks for them to be free of pain.